What Are Coup and Contrecoup Brain Injuries? What are coup and contrecoup brain injuries? Head injuries can be some of the most devastating types of injuries that people might suffer in California. Traumatic events that injure the head may cause coup and contrecoup brain injuries. These types of injuries may cause lifelong disability or lead to death. 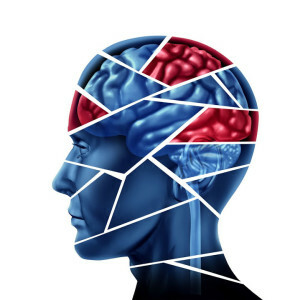 If you or your loved one has suffered a coup or contrecoup brain injury because of the negligent or wrongful acts of other people or entities, you might want to seek help from an experienced brain injury lawyer in Los Angeles. Blows to the head may cause brain contusions, which are bruises to the brain. A coup brain injury happens on the side of the head that was hit while a contrecoup injury occurs to the brain on the opposite side of the impact. These injuries often happen together when a forceful blow causes the brain to collide into the skull, causing a traumatic brain injury. Contrecoup injuries may happen in motor vehicle accidents sometimes result in diffuse axonal traumatic brain injury, leading to permanent disabilities. When any of these types of incidents involve sharp blows to the head, coup and contrecoup injuries may result. Once the brain injuries are diagnosed and their severity levels determined, the doctors may then begin treatment. Brain injuries range in the level of severity and affect people differently. Some may have mild brain injuries with a good chance of full recovery. For others, the brain injury is the beginning of a lifelong disability. People who suffer brain injuries may need to have access to community supports and a full continuum of treatment from the members of an interdisciplinary treatment team. During the acute phase, which is immediately after the brain injury has occurred, the treatment begins in the emergency department with an emergency evaluation. The patients may then be sent to the intensive care unit. There, the focus will be on stabilizing the patient and preventing further damage from brain swelling, fluid build-up and others. If the victims are stabilized, they may then be sent for care by a neurotrauma specialist. During the post-acute phase of a severe brain injury, people may go through inpatient rehabilitation in the hospital or in a skilled nursing facility. People who suffered less severe injuries may be sent from rehabilitation to their homes with their family. Moderately injured people may continue to receive treatment on an outpatient basis while also accessing community supports. More severely brain-injured people may next receive post-acute transitional rehabilitation on a residential basis. Finally, severely brain-injured people may have to live in skilled nursing home facilities. Others may live at home while receiving in-home services. Others may live in group homes or supported living apartments. Finally, some people are eventually able to live independently. If you or your loved one has suffered a coup or contrecoup brain injury, it can be devastating. If the trauma to the head resulted because of the negligence of a property owner, motor vehicle operator or of any other person or entity, it is always best to consult with an experienced brain injury lawyer. You may be facing a lifetime of medical expenses and costs for which you need to be compensated. The potential value of these types of cases can be high enough that insurance carriers will be unwilling to settle them for reasonable amounts at first. Instead, it will be necessary to conduct an extensive review of your medical records, and the defense will also want to conduct its own medical examination and other processes that normally will only happen during the litigation process. Because of the potential for high damage amounts, a brain injury case may necessitate litigating the matter up to and through a jury trial with expert medical testimony. A brain injury personal injury case may be impossible for you to resolve on your own without help. Contact an experienced Los Angeles brain injury attorney today to schedule your free consultation so that you can learn more about the rights that you might have.